The date has finally been confirmed for the reform of NSW strata laws! 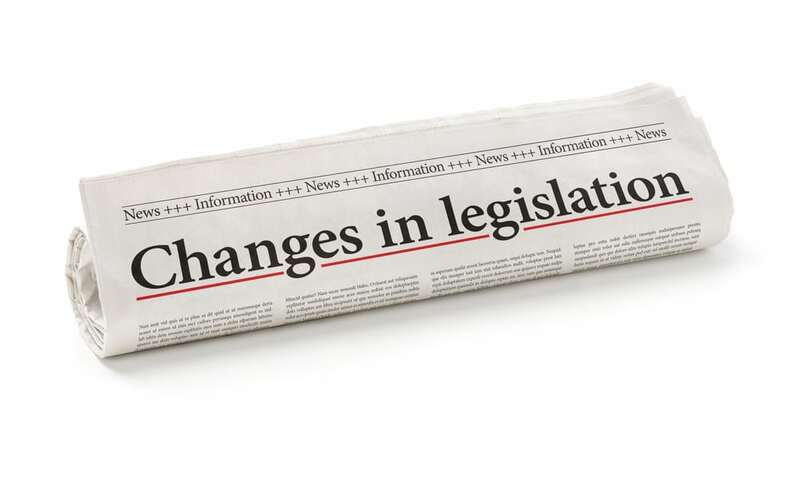 The NSW Parliament passed over 90 changes to the Strata Management Act last year, which when implemented from 30 November 2016 will provide greater clarity, control and dispute resolution to strata communities. So what can we expect later this year? What does this mean for my strata plan? As it stands, strata plans will need to adopt the new By-Laws that are being created so you can expect it to be discussed at your next strata meetings to determine if you want to adopt them. You will also be signing a new contract for your strata managers role to make sure their new duties are all covered off in the contract. Strata Managers will also have to advise what, if any commissions they receive moving forward. Amongst the biggest changes are those to the owners committee and voting systems. Under the new reforms, a minimum of 75% of owners in a strata scheme will be able to choose to sell or renew the building. New systems will fall into place to provide fair value to all owners, as well as support for vulnerable owner-occupiers. Up until now, rental agents have been able to take advantage of “proxy farming” – that is, obtaining numerous proxy votes in order to suit their own interests. The new changes will ensure a limit on the proxy votes any one person can hold; plus strata professionals who are not owners will be excluded from joining executive committees. Committee members will be able to participate in meetings via teleconference and video calls which will encourage greater involvement with the issues that affect them. Tenants will be able to attend owners corporation meetings and elect a tenant representative, minus the ability to vote unless this is by proxy on an owner’s behalf. Tenants may also be excluded from a meeting if financial matters are being discussed. Owners corporations will be allowed to invite the parking division of their local council into their car parks to address the issue of unauthorised parkers taking residents’ parking spots. Residents will be able to order their neighbour to stop smoking on their balconies or even inside their units if this is disturbing others, thanks to the definition of cigarette smoke as a “nuisance” for the first time. New strata buildings will allow pets unless they are excluded, rather than excluded unless they are allowed as previously applied. At this stage this bylaw will not apply to existing stratas unless they choose to adopt it. Owners corporations will be able to set occupancy limits on apartments if there are more than two adults per bedroom. Minor alterations in apartments such as installing picture hooks will be allowed by default, as long as they don’t affect common property. One of the most anticipated introductions in the NSW strata law reform is that of the defects bond scheme. Under this scheme 2% of the cost of buildings over three storeys high will need to be set aside by developers in order to fix any faults that arise in a unit block’s first two years. This system will come into effect from July next year to allow for the new Australian Standard for group title building inspections to be finalised. With half of the people in NSW expected to either live or work in strata by 2040, these new laws provide much needed change in a Strata Management Act that hasn’t seen major reform since 1996. When can I get some more concrete information? Here at Jamesons we will be planning to provide you with all of the information you need to know in the very near future. Rest assured we will be fully informed on all NSW strata law reforms to ensure that you have all the information you need! "Paul Culbi has been our Strata Manager for several years now. This in itself is a nice relief (our previous strata managers changed every 6 months). Paul is extremely diligent, trustworthy, expert in his advice and consistently proactive. Paul is always available to answer our queries, and provides us with reliable and excellent trades people to help us make our 1970’s building modernised with the quality we want and expect – increasing the value of our investment and the safety and security of our residents. Without Paul, we’d still be in the dark ages."